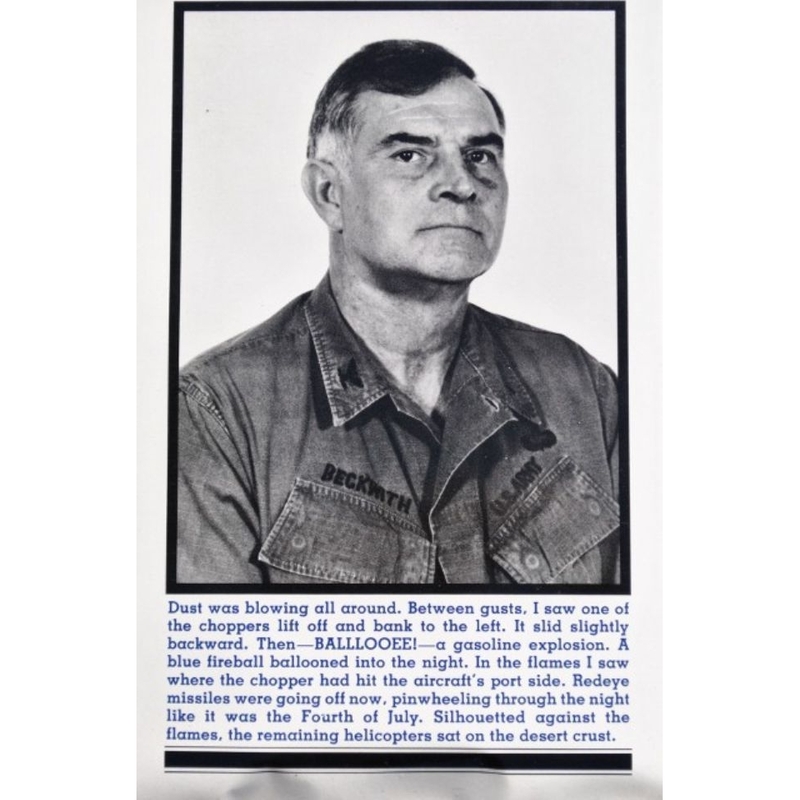 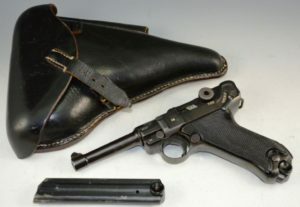 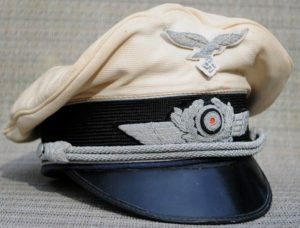 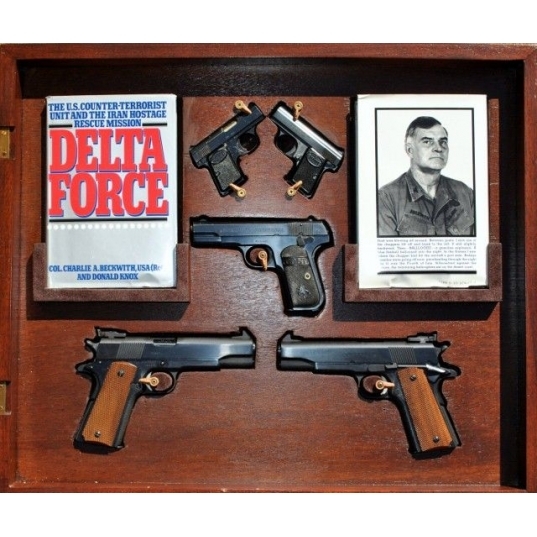 Historically significant set of Col. Charlie Beckwith’s personal firearms carried by him in Laos as a member of Project White Star and in Vietnam while commander of Project Delta…Col. 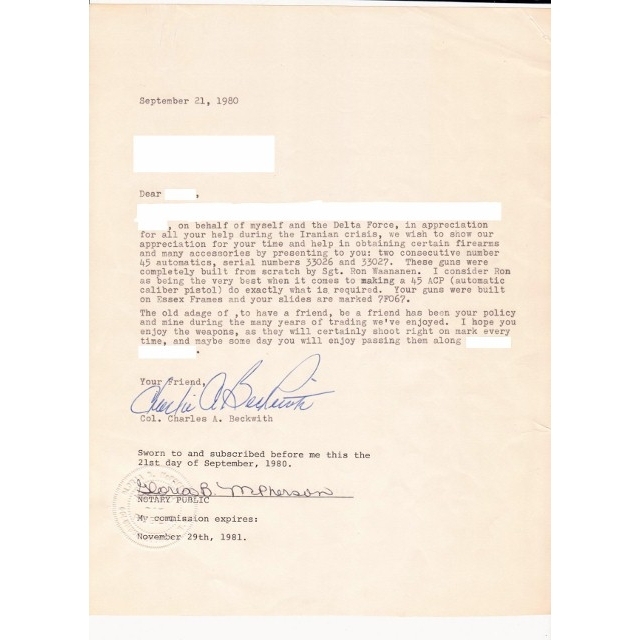 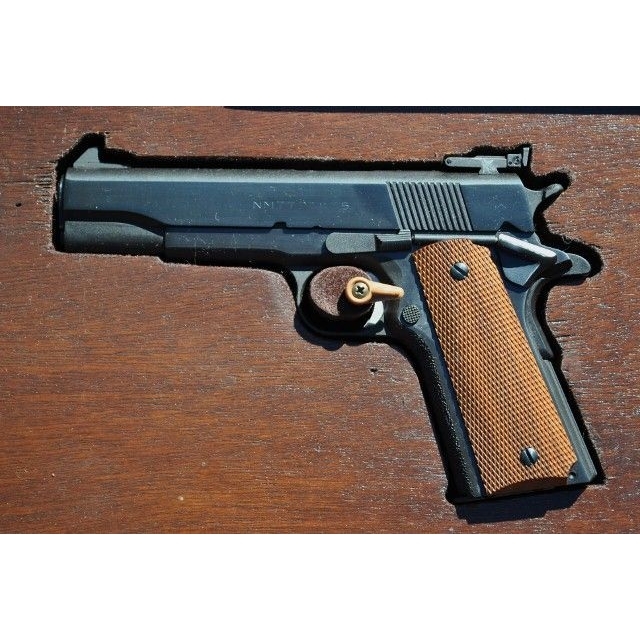 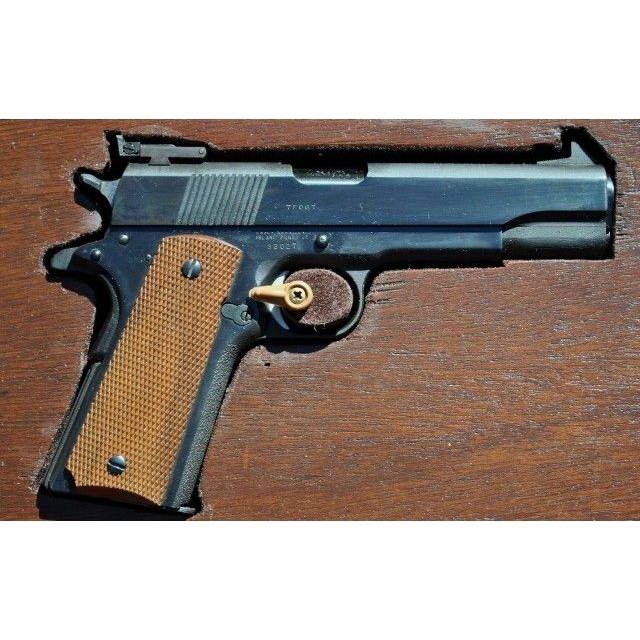 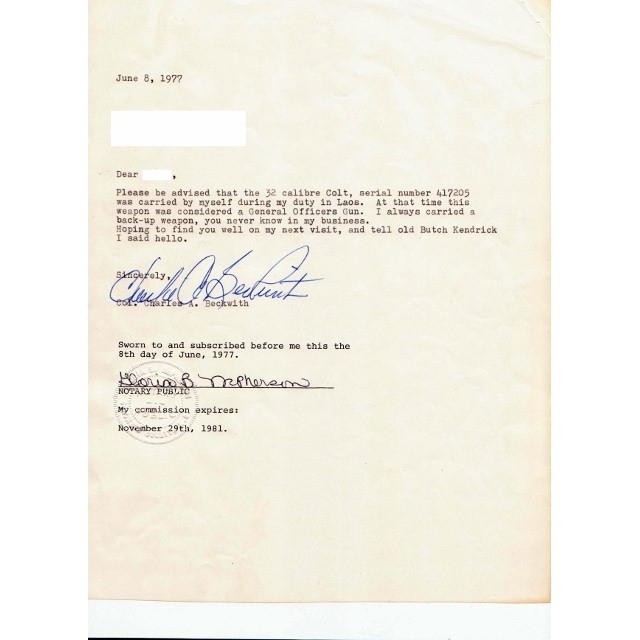 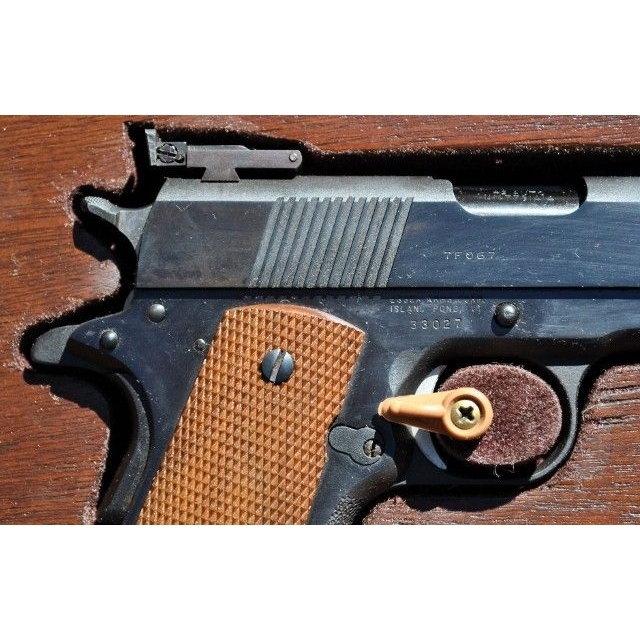 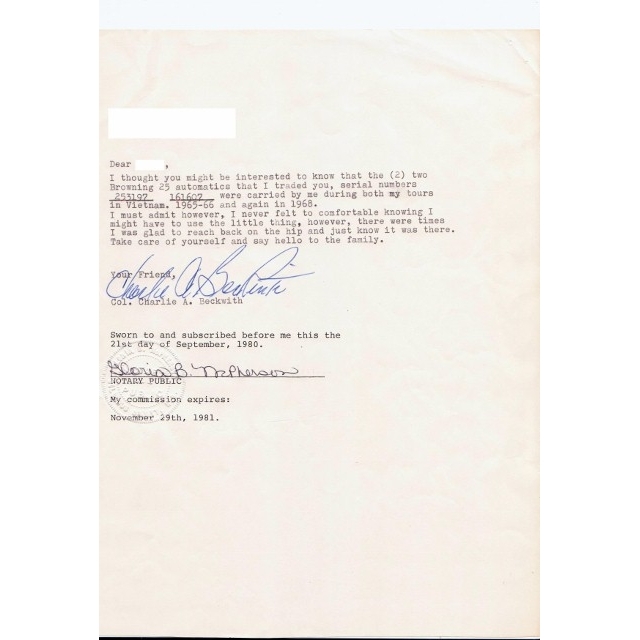 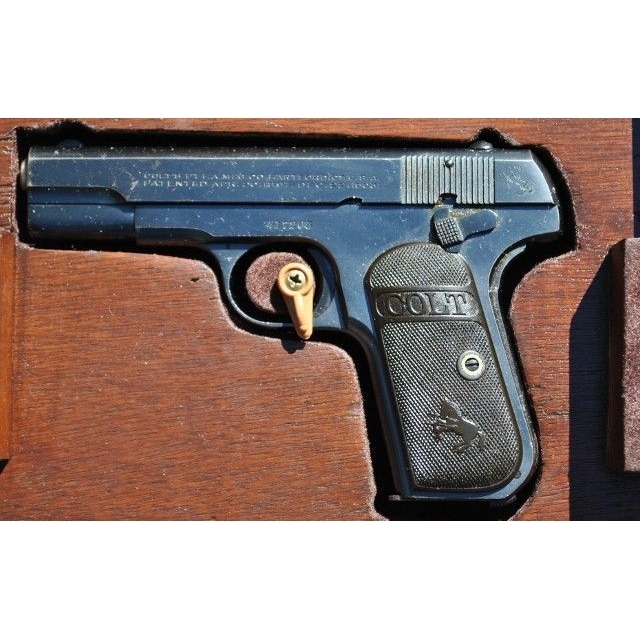 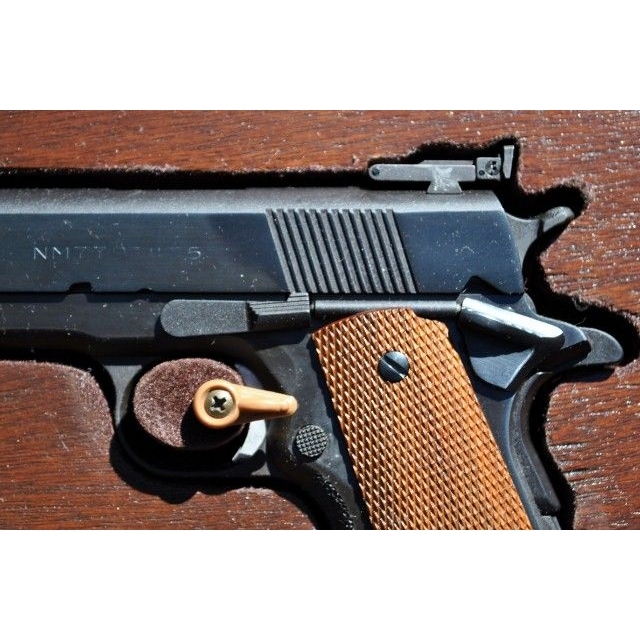 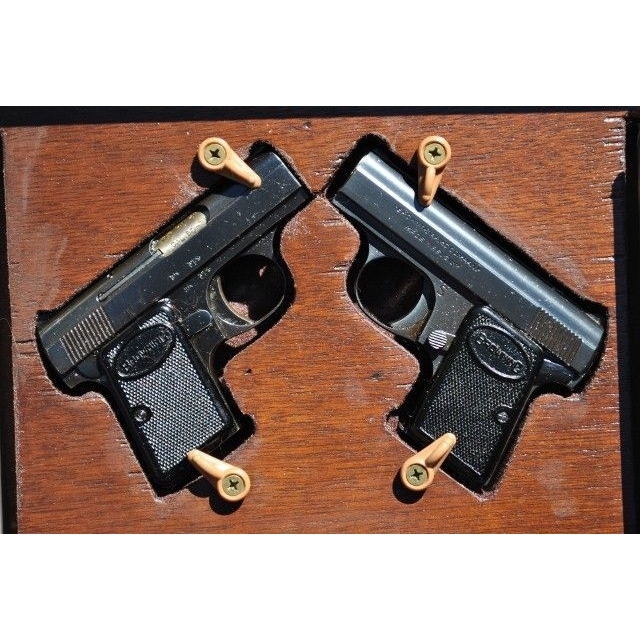 Beckwith traded these weapons to a close friend and supplied a signed notarized letter with each pistol outlining his use of each weapon…Of particular interest are Col. Beckwith’s personal comments about why and where he carried each pistol. 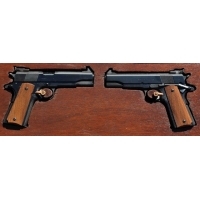 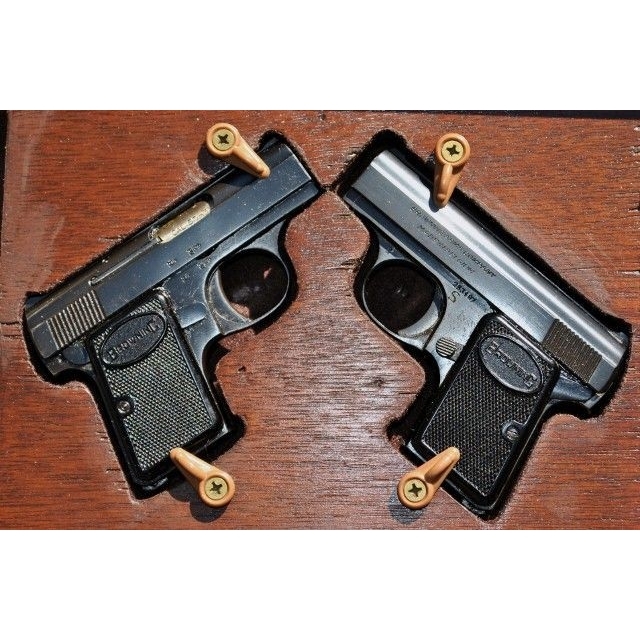 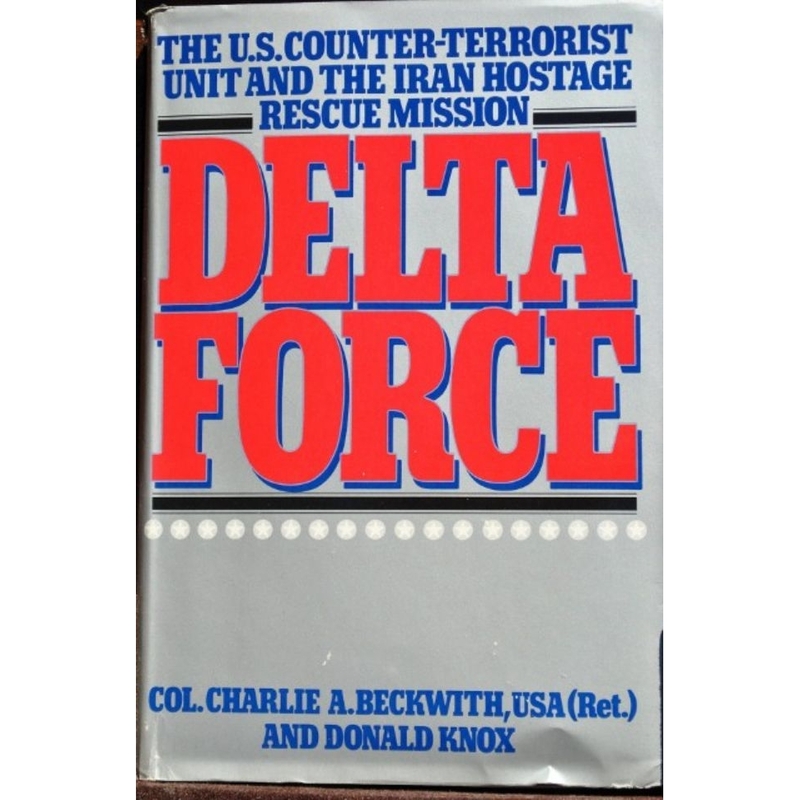 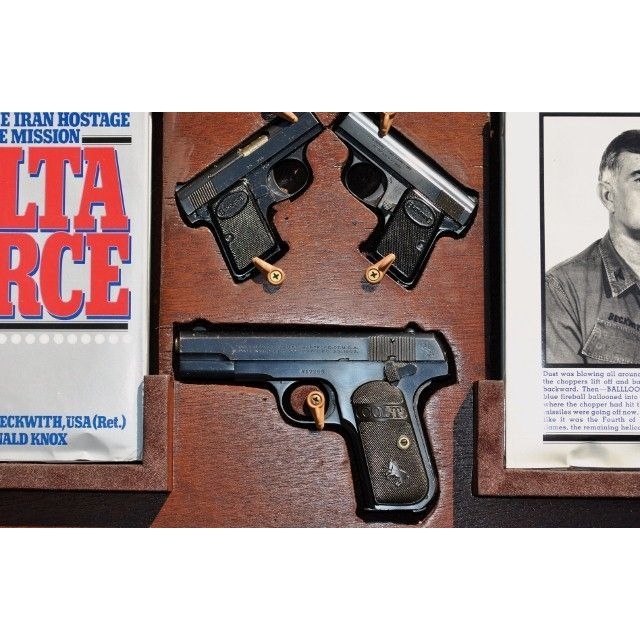 The consecutively serial numbered pair of customized .45 pistols shown were presentations from Col. Beckwith, the founder and first commanding officer of Delta, and Delta Force to the recipient for services he performed obtaining firearms for Delta Force prior to the Operation Eagle Claw and Desert One hostage rescue mission in Iran in 1980…The pistols were “completely built from scratch by Sgt. 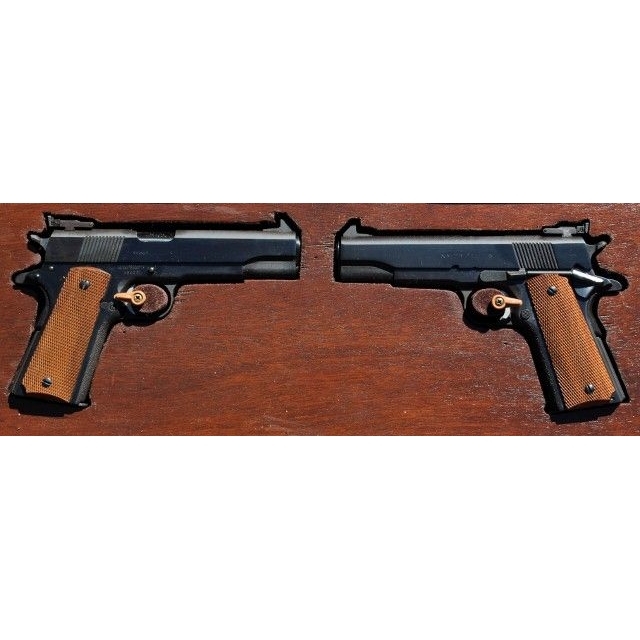 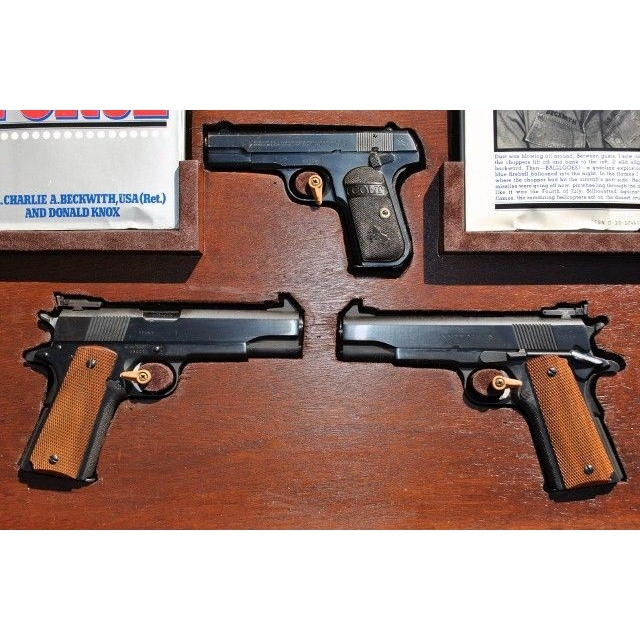 Ron Waananen” who Col. Beckwith considered was the best man making pistols for Delta Force in their early years…Shown with the pistols are Col. Beckwith’s letters and two copies of his book signed and presented to the guns former owner.